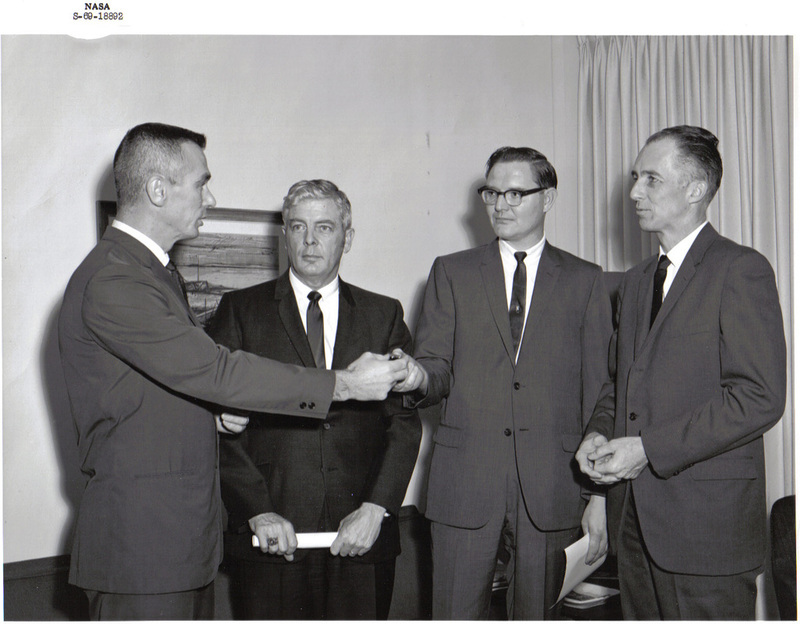 In 1962, Roger Powell was living in Dallas, a 30-year-old engineer with a wife, 3 children, and one on the way, when he heard Dwain Evans’ appeal to move to Long Island, New York as part of “Exodus Bay Shore”. Roger had already been studying Greek on his own and conducting “cottage classes” in Dallas, and he was convinced of the Lord’s calling to be a vocational missionary. 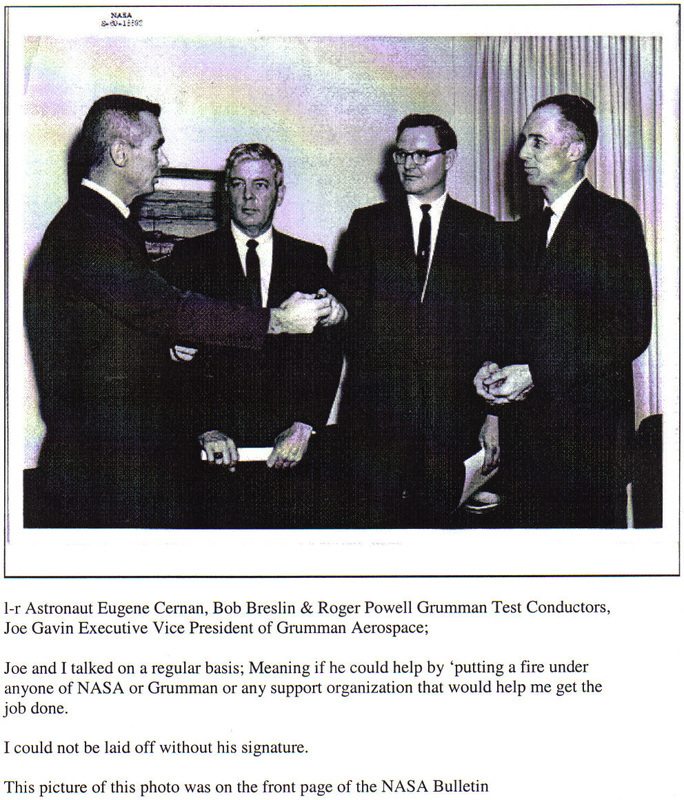 Roger mailed a resume to Grumman and was invited to interview with them during the employment conference at the Baker Hotel in Dallas on February 2, 1963. 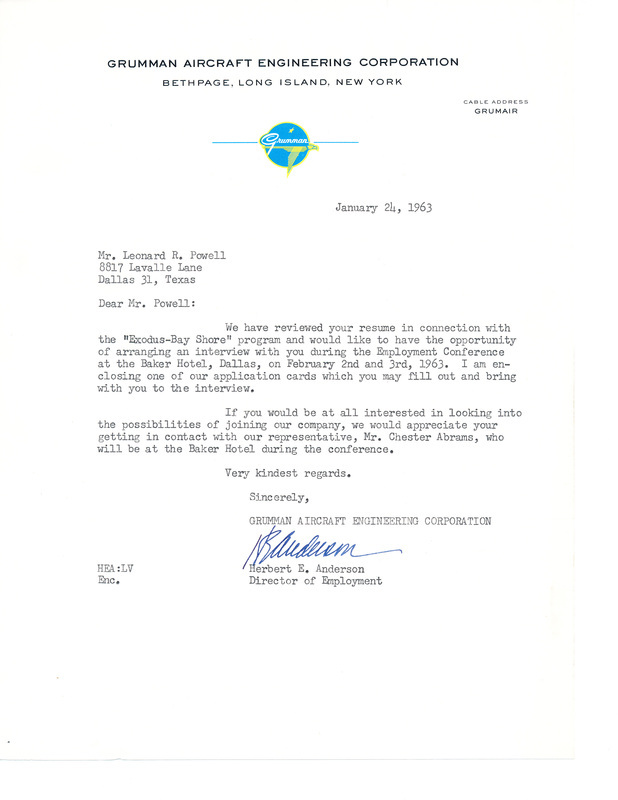 Roger sent a follow-up letter to Grumman after the February 2 interview, and when he had still not heard from them by May, he sent another letter offering to meet with them face-to-face in New York on June 3. 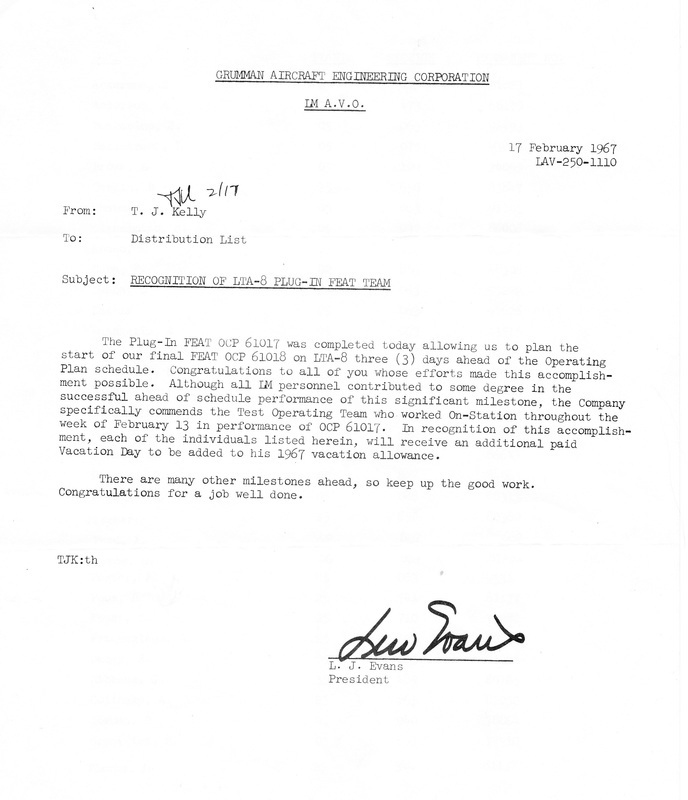 Roger flew to New York with several other “Exodus” men, finalized the offer with Grumman, and returned to Dallas, where he submitted his resignation to Texas Instruments. 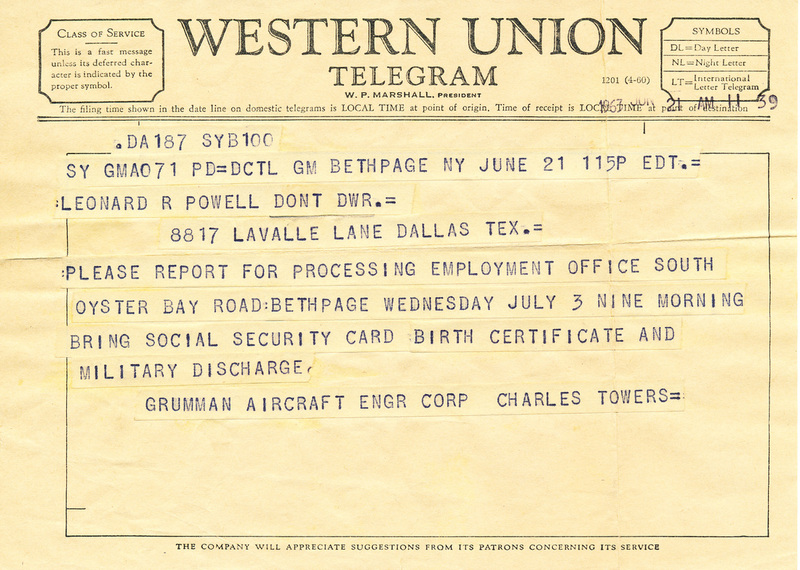 Later in June, 1963, Roger received a telegram from Grumman with employment processing instructions. 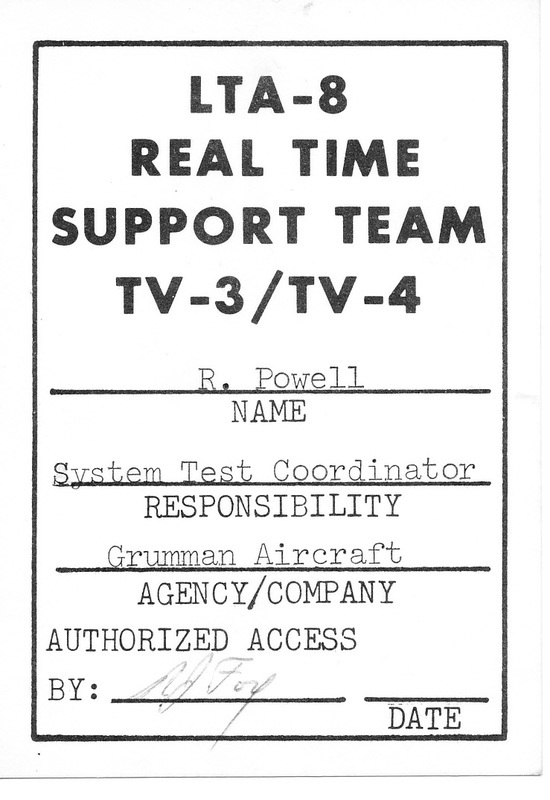 After an arduous cross-country trip, now with 4 young children, Roger began work at Grumman on July 3. 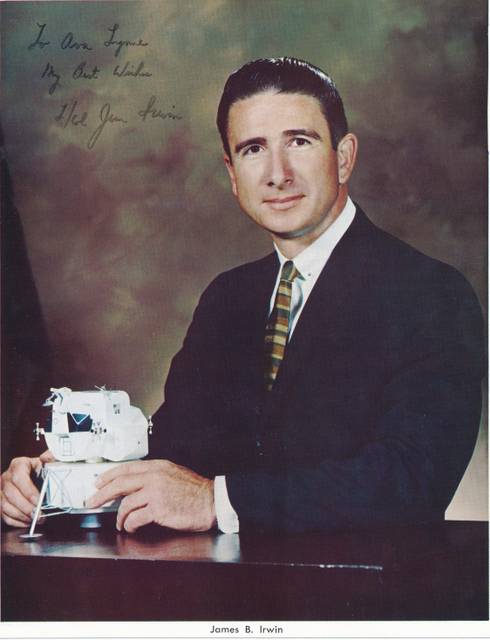 Roger worked on the Lunar Module four years in Bethpage, New York (1963-1967), two years at the Johnson Space Center in Houston (1967-1969), and another year in Bethpage (1969-1970). 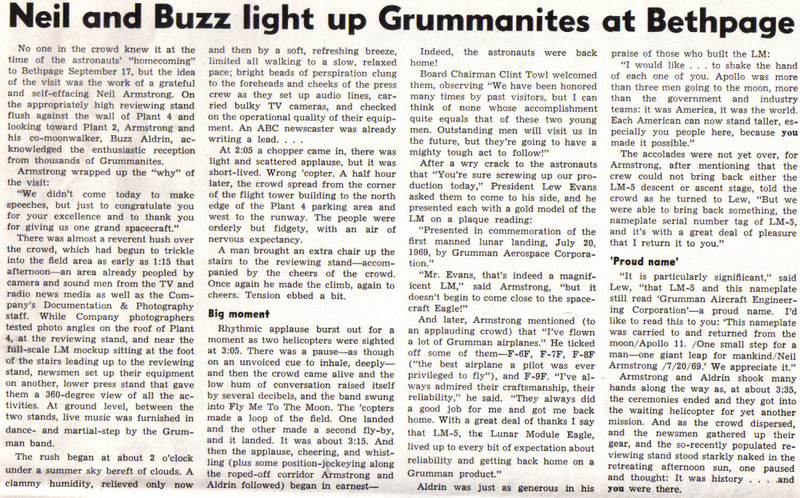 Roger's last day with Grumman was August 14, 1970. 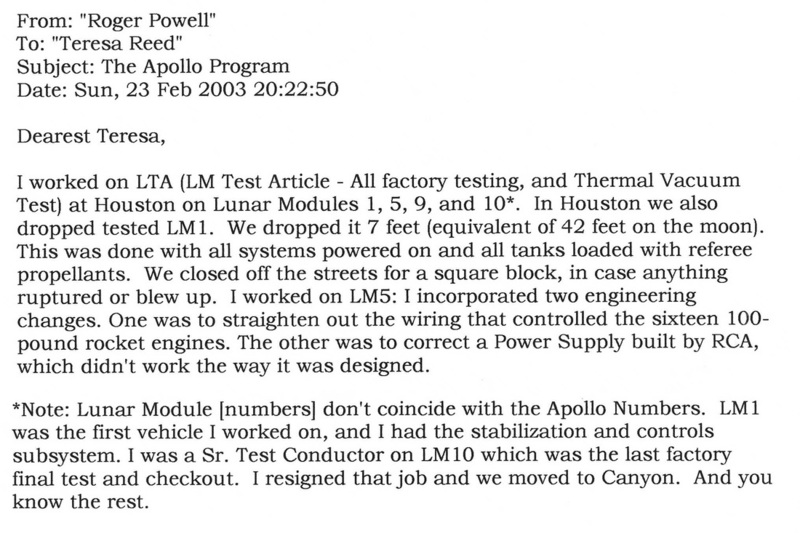 Here is a page (5-20) from the LM Primary Guidance Navigation and Control System Familiarization Course showing the Display and Keyboard of the LM's computer. Roger's comments are in red pencil: [NO ATT=]No attitude, Condition Indicators, major mode, [RESTART]+PROG, [RSET=]resets condition indicators. (Tom Kelly memo, continued.) 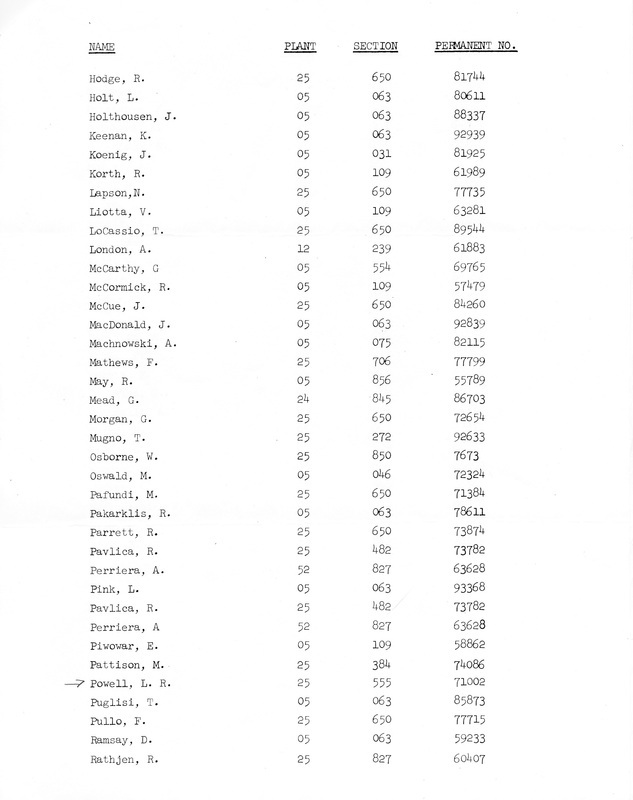 The Test Operating Team had 85 members – below is the page with Roger’s name on it. 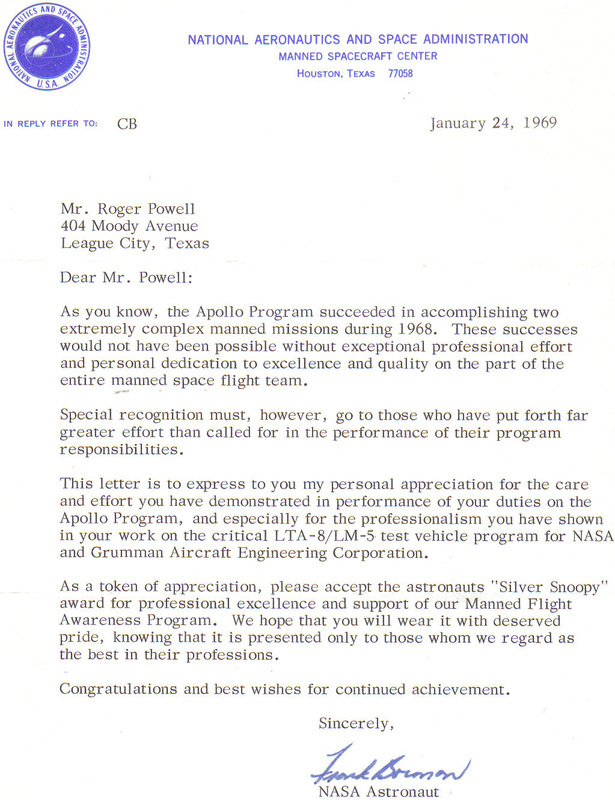 The other Silver Snoopy recipients. 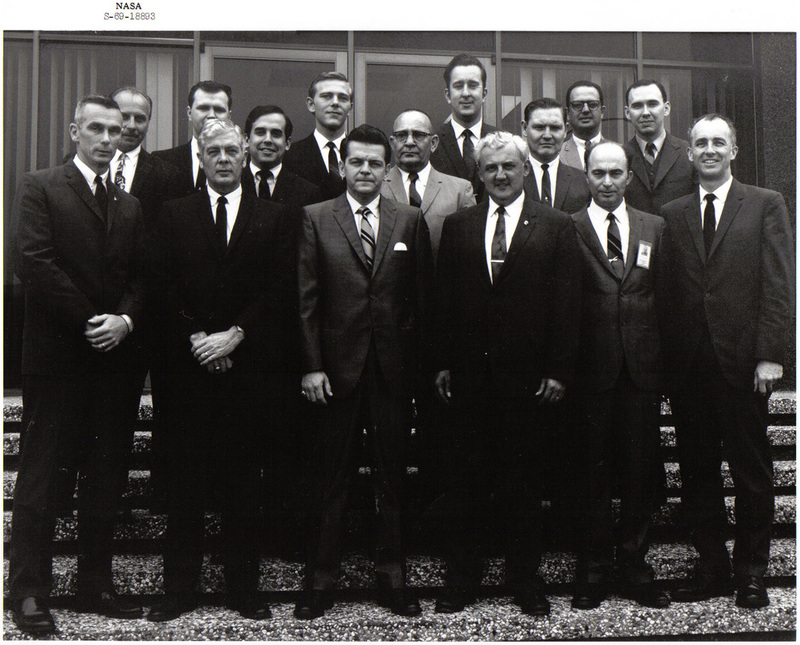 Astronaut Gene Cernan is far left, Grumman vice-president Joe Gavin is far right, and Roger is in the middle row, second from the right. 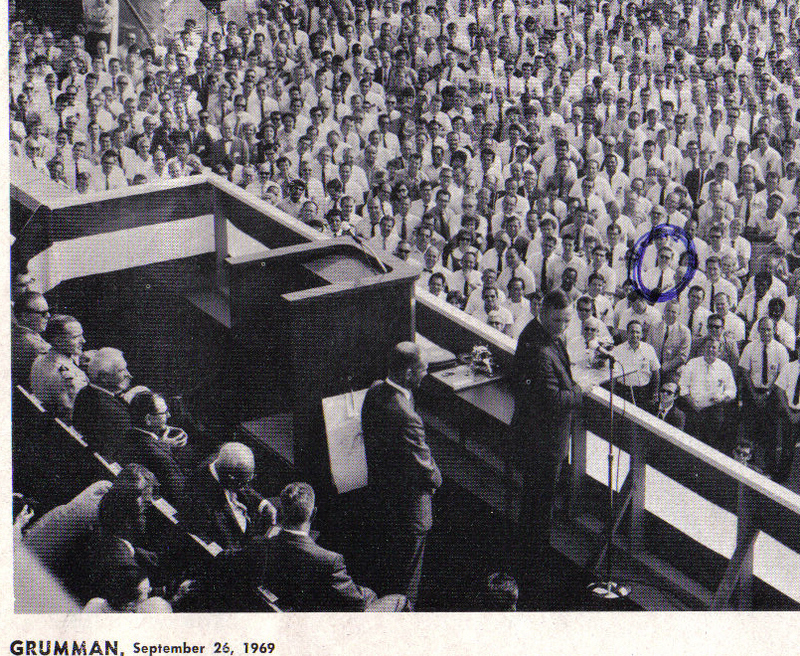 The following is an article in the Grumman newsletter reporting the day (September 17, 1969) that Neil Armstrong and Buzz Aldrin returned to Grumman to thank them for “giving us one grand spacecraft.” Armstrong is at the microphone, Aldrin is standing behind him, and Roger circled himself in the crowd. 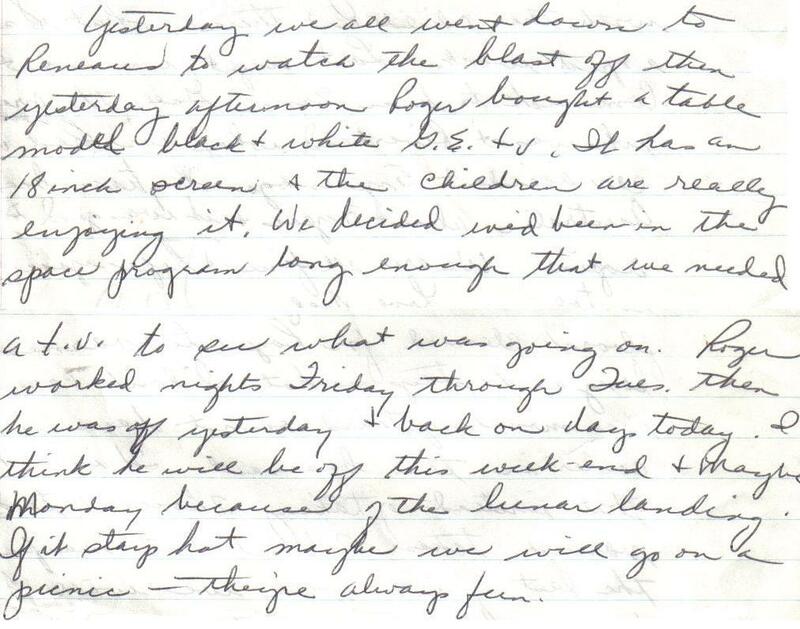 The next is a snippet of a letter from Avanelle to Roger’s mom about going to the Reneaus to watch the blast-off then buying their first TV to watch the moon coverage. A few hours later, they were at Stuart and Cecilia Jones’ house to see the first steps on the moon. 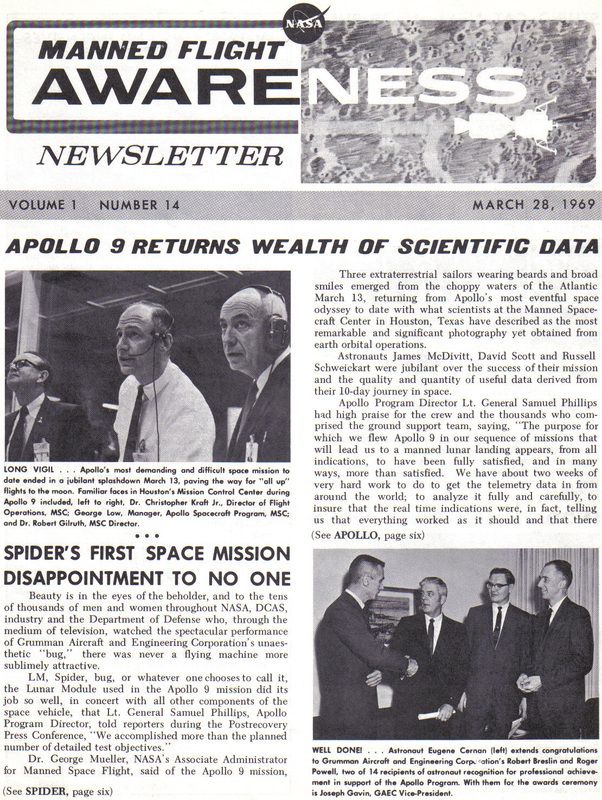 Apollo 13 was in April, 1970 before Roger left Grumman in August. When he heard the astronauts had moved into the Lunar Module and were using it for a lifeboat, Roger thought for a minute and said, "That will work!" He never doubted the astronauts would return safely. And he and David always thought the story would make a great movie. Evidently, Ron Howard agreed. In February, 2001, Roger and David watched the movie together, and David asked his Dad to give him the annotated version. Roger was fairly quiet as he relived the story, but he did make two comments. 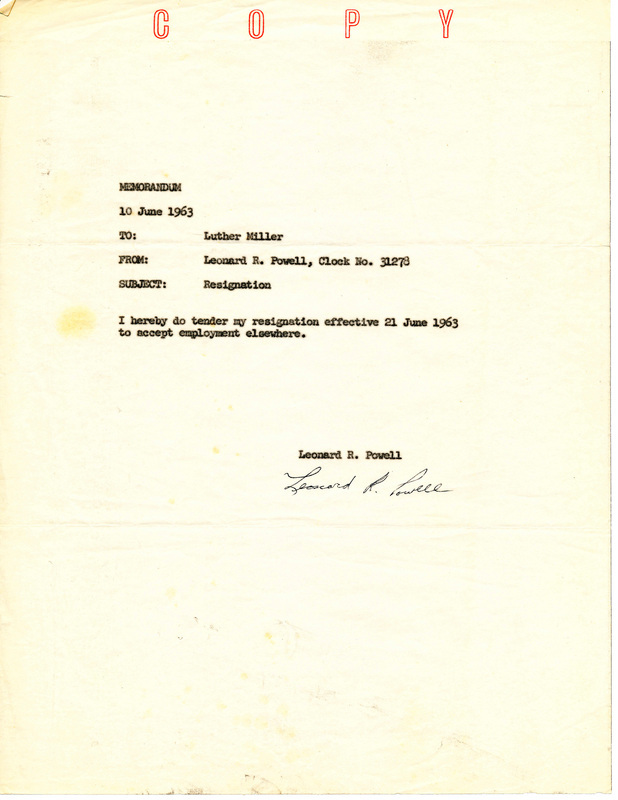 He thought one scene of the spacecraft rolling in space was a "little too much Hollywood," and he asked David to check the box to be sure Gene Kranz wasn't playing himself. When he was told the actor was Ed Harris, Roger said, "Well, he has Gene down: the way he walks, the way he talks, the way he smokes his cigarette -- it's perfect." I worked on the Viking Lander that landed on Mars and took scientific data for several years. 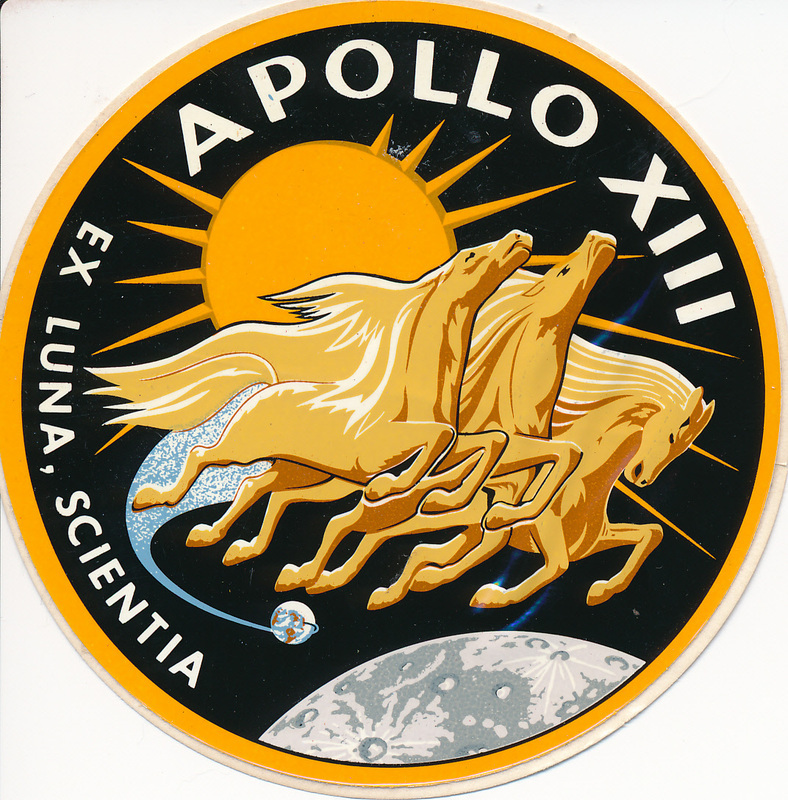 Other projects included, Magellan (it mapped the Planet Venus), a space-based laser communication device for a classified project, Peacekeeper (MX) and Small Missile Proposals. 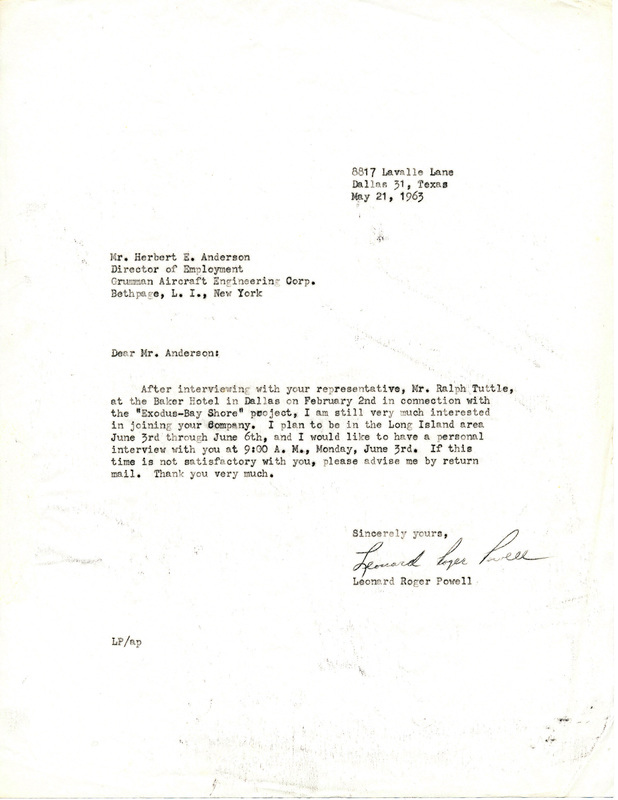 My last job was working on a proposal for “Brilliant Eyes”, a component of President Reagan’s “Star Wars”. I also worked for 7 months in the safety department. Delayed gratification is a hard concept for some. As the article says, [Saturn's Titan moon is] the only moon in the solar [system] with an atmosphere. For me it has been 15 years since I worked on the Titan part of the Cassini project. And now I get to see the results of that planning.